Happy Thanksgiving from the Assemblies of God! Author georgepwoodPosted on November 27, 2013 November 27, 2013 Categories Assemblies of God, Current EventsTags Assemblies of God, George O. Wood, Thanksgiving messageLeave a comment on Happy Thanksgiving from the Assemblies of God! Why Did President Obama Omit ‘Under God’ from the Gettysburg Address When 63 Other Prominent Americans Included It? For the 150th anniversary of the Gettysburg Address, Ken Burns asked a number of prominent Americans to recite the Gettysburg Address on camera. You may or may not know that there are five extant copies of the address in Lincoln’s hand—the so-called Nicolay, Hay, Everett, Bancroft, and Bliss copies (listed in chronological order of production). The Nicolay copy was the first draft of the speech, prepared before Lincoln delivered it. The Hay, Everett, Bancroft, and Bliss copies were prepared after he delivered it. There are a variety of differences between these copies. For our purposes, the most important difference is that the first two copies omit the phrase, “under God”—as in, “that this nation, under God, shall have a new birth of freedom—while the last three copies include it. 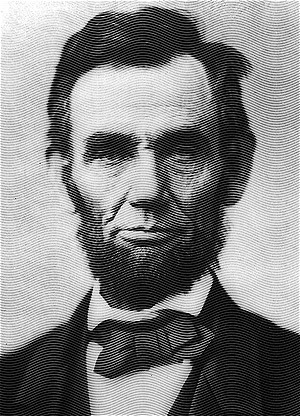 Contemporaneous press reports of Lincoln’s speech include the phrase, “under God,” so it is almost certain that Lincoln included those words in his oral delivery, probably adding them extemporaneously. Moreover, the Bliss copy—the best known of the five and the one that hangs in the Lincoln Bedroom of the White House—is the only one that Lincoln signed. Predictably, this has raised hackles on the Right. Equally predictably, this has raised counter-hackles on the Left, who view the entire controversy as phony. The White House has explained that President Obama recited the Nicolay copy because Ken Burns asked him to do so. 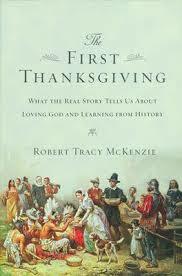 Strangely, President Obama seems to be the only person Ken Burns asked to recite the Nicolay copy. Ken Burns himself (1:34), Matthew Barzun (1:25), Mike Beebe (1:31), James Billington (1:39), Wolf Blitzer (1:27), George W. Bush (1:35), Louis C. K. (1:45), Tom Carper (1:26), Jimmy Carter (1:35), Bob Casey (1:45), Bill Clinton (1:45), Stephen Colbert (2:12), Charlie Crist (1:34), Mario Cuomo (2:10), David Dinkins (1:41), Timothy Cardinal Dolan (1:33), Arne Duncan (1:27), Donna F. Edwards (1:29), Eric Foner (1:25), Eric Garcetti (1:43), Bill Gates (1:38), Gabby Giffords and Friends (1:43), Jim Gilmore (1:30), Whoopi Goldberg (1:48), David Gregory (1:35), Harold Holzer (1:32), Arianna Huffington (1:33), Gwen Ifill (1:36), Jon Jarvis (1:41), Sally Jewell (1:30), Heidi Heitcamp and John Hoeven (1:33), Tim Kaine (1:25), Jimmy Kimmel (1:15), Angus King (1:57), Vicki Lawrence (1:30), Ray Mabus (1:49), Rachel Maddow (1:25), Gregory Meeks (1:25), Alyssa Milano (2:13), Rita Moreno (2:04), Richard E. Neal (1:43), Bill Nelson (2:09), Conan O’Brien (1:33), Bill O’Reilly (1:29), Annise D. Parker (1:44), Nancy Pelosi (1:37), Mike Rawlings (1:52), Robin Roberts (1:44), Jay Rockefeller (1:41), Peter Rubinstein (1:49), Marco Rubio (1:28), David Saperstein (1:26), Bob Schieffer (1:34), Chuck Schumer (1:28), Jerry Steinfeld and Louis C. K. (3:50), Martha Stewart (1:30), Tom Steyer (1:34), U.S. Men’s National Soccer Team (1:22), Uma Thurman (1:39), Nina Totenberg (1:34), Richard Trumka (1:38), Debbie Wasserman Schultz (1:28), and Randi Weingarten (2:13). By my count, the ratio of “under God” to no “under God” in these speeches is 63:1. So, why would Ken Burns ask President Obama—and evidently him alone—to recite the first draft of the Gettysburg Address, omitting the famous phrase, “under God”? More importantly, why would President Obama agree to do so? Because I don’t have a conspiratorial mindset, I’m not inclined to give credence to conspiracy theories, e.g., Obama is a crypto-atheist who’s out to destroy the religious foundations of the American republic. But that leaves me with only two options: (1) Ken Burns has a dilettantish predilection for textual criticism, which he somehow foisted on the president of the United States. (2) President Obama is politically tone deaf to the implications of using an obscure version of a famous speech that omits the words under God. As scandals go, Under-God-gate is small potatoes. Still, it’s reflective of the president’s (or his staff’s) political tone deafness and poor judgment. 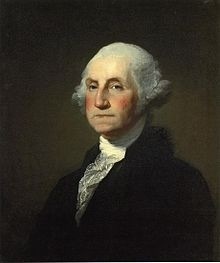 Author georgepwoodPosted on November 20, 2013 Categories Politics & CultureTags Gettysburg Address, Ken Burns, Obama, Obama omits under God, under God1 Comment on Why Did President Obama Omit ‘Under God’ from the Gettysburg Address When 63 Other Prominent Americans Included It? Ken Burns has posted a video of President Barack Obama reciting the Gettysburg Address. I’m not sure why President Obama deleted this phrase. (I’ll leave that to conspiracy mongers.) There are five copies of the Gettysburg Address from Lincoln’s lifetime, known as the Bliss, Nicolay, Hay, Everett, and Bancroft copies. The Bliss copy–the only one with Lincoln’s signature on it–is generally considered authoritative. It and the Everett and Bancroft copies contain the words under God, while the Nicolay and Hay copies don’t. Of course, none of these copies is actually the Gettysburg Address. The Gettysburg Address is the set of words actually spoken by Lincoln at Gettysburg. And, as it happens, we know what those words are. (The Bliss copy nearly perfectly reproduces them.) Three entirely independent reporters, including a reporter for the Associated Press, telegraphed their transcriptions of Lincoln’s remarks to their editors immediately after the president spoke. All three transcriptions include the words “under God,” and no contemporaneous report omits them. There isn’t really room for equivocation or evasion: Abraham Lincoln’s Gettysburg Address—one of the founding texts of the American republic—expressly characterizes the United States as a nation under God. President Obama has been the subject of too many conspiracy theories, and I’m sure the omission of the words under God will generate an entirely new round of them. At best, the omission of the words was unintentional, perhaps the result of a faulty text provided to the president by Ken Burns. At worst, it was intentional, either the reflection of an academically persnickety textual criticism–nonetheless false–or the grinding of an ideological axe. Either way, the president should be embarrassed that he got roped into misquoting one of America’s most famous speeches. A text box now appears on the Ken Burns website http://www.learntheaddress.org which states: “Did you know there are five versions of the Gettysburg Address? We asked President Obama to read the first, the Nicolay Version.” A cached version of the same webpage from several days ago shows no such reference. UPDATE 2: Over at The Wire, Abby Ohlheiser defends the president by noting that he is reading the Nicolay copy of the Gettysburg address. “Far from an issue of omission, the fake controversy now dominating the anniversary of the important speech is more or less about conservative perceptions of the president’s arrogance. Even though comparing oneself to Lincoln, paraphrasing his words, imbuing new meaning to the Gettysburg Address itself is a routine practice for politicians from every party, there’s a certain special fury summoned when Obama does it. If anything, Ken Burns’s project demonstrates that no matter what critics might feel, everyone deserves to access, personify and celebrate the meaning of the speech. No matter which version it may be.” How she can describe as a “fake controversy” the omission of words from the Gettysburg Address that she herself concedes Abraham Lincoln actually spoke is beyond me. UPDATE 3: The White House has released a handwritten, one-page essay by Pres. Obama that explains what the Gettysburg Address means to him. It is unclear to me which of the five copies of the Gettysburg address hangs in the side office Pres. Obama refers to. According to this source, cited by Ken Burns’ website, it is the Bliss copy which hangs in the Lincoln bedroom.